hd00:16ATHENS, GREECE 2012 Low angle shot of the columns of the Acropolis and Parthenon on the hilltop in Athens, Greece. hd00:07A view of the Parthenon in Athens. Greece. 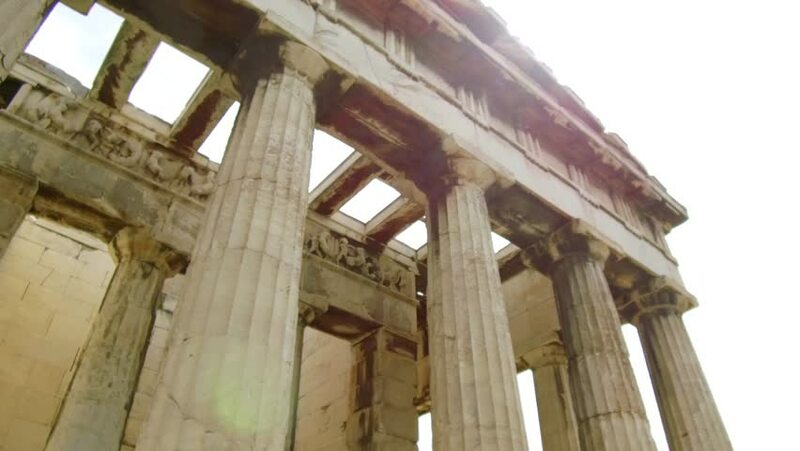 4k00:07Ancient Parthenon in the Athenian Acropolis. hd00:06The First Bank of the United States in Philadelphia, Pennsylvania.